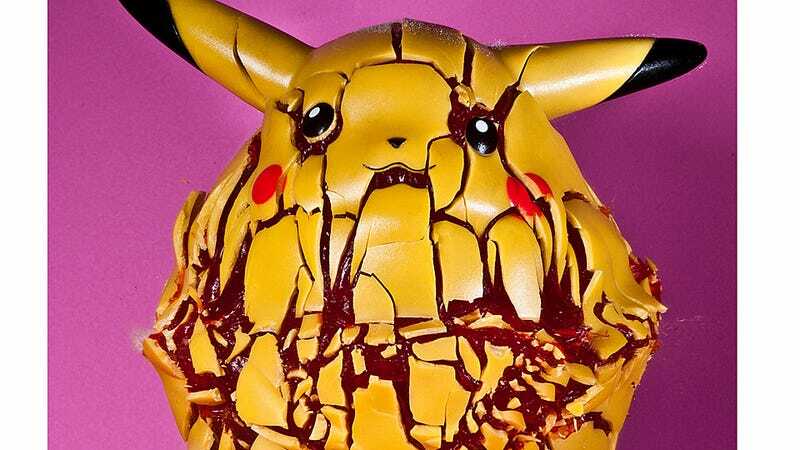 This exploding Pikachu is not actually the creepiest of photographer Alan Sailer's explosions series. (That would be the doll head.) But it's still plenty off-putting. I ran into a garage sale that had this nice big hard plastic Pikachu. They wanted 2$, but when I told them I was going to blow it up for a picture, the kid who owned it said alright for one buck. I filled it with red gelatine, crossed my fingers and fantastic, it turned out great. The red gelatin is, really, the best and worst part. Poor Pikachu.